One of my favorite things in life is enjoying my morning coffee all over the world. From cafes in Paris to the streets of Portugal to the cliffs of the Greek Islands. 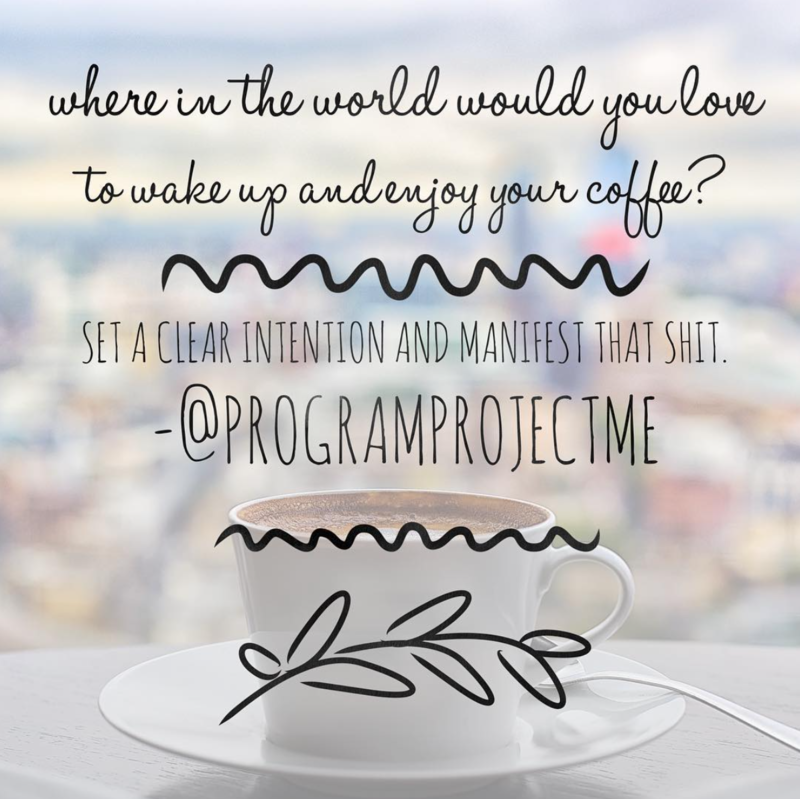 I set clear intentions of where I want to travel to next, by day dreaming about it, cutting out pictures for my vision board, pinning things on Pinterest (@programprojectme), feeling what it will be like when I’m there and knowing I’ll be there soon. Soooo…. where in the world do you want to enjoy your morning coffee next? Take that trip, you know the one that’s burned a hole in your heart. Just take it. You can go solo or with friend. Please don’t wait for a boyfriend/girlfriend to take those trips. 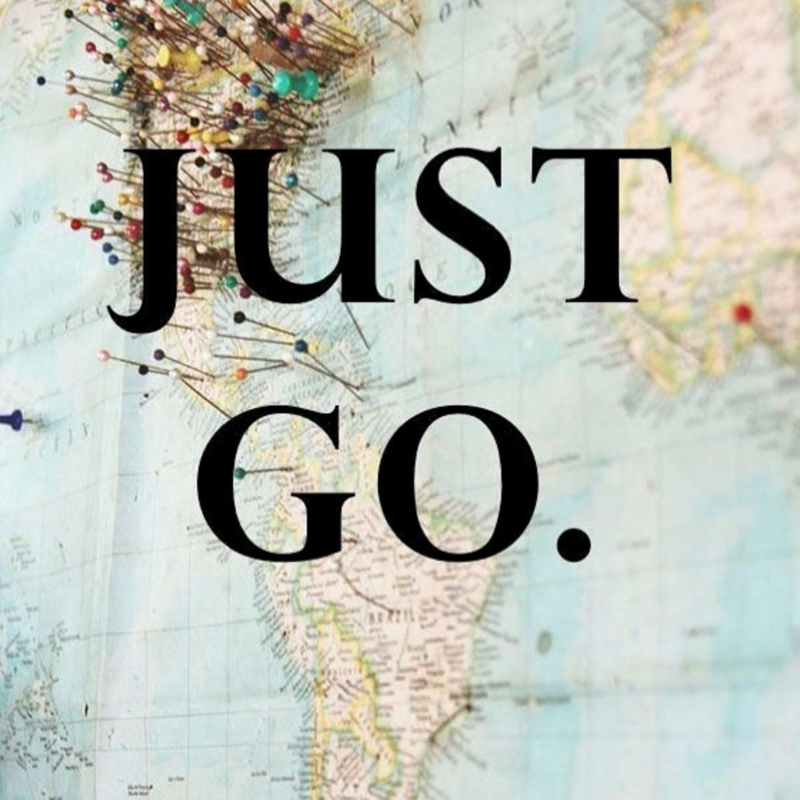 There will always be more places and adventures you can do with them. So take your finger off the life pause button and go. I did starting at a young age in my 20s. I just went anyway. Yes I secretly wanted to be there with a romantic guy, but that’s just fantasy land. I was in France, Croatia, Italy, England, Thailand, Brazil, Belize, Bali, Portugal, Greece, and many islands in between. Many were spent traveling with a friend and many I traveled solo. Now that I have “the guy” we take trips too, but it’s much different than my magical mind set it up to be. So thrilled that I never waited to see the world. I pray you can find the strength to do the same. I use to move so fast all the time, I didn’t even notice big trees in my neighborhood. I claimed, I didn’t have the time to slow down. HA! Well God made sure I did eventually. To a point where I had no choice. Not the fun way to go about learning to be still. For me, that was the only way. 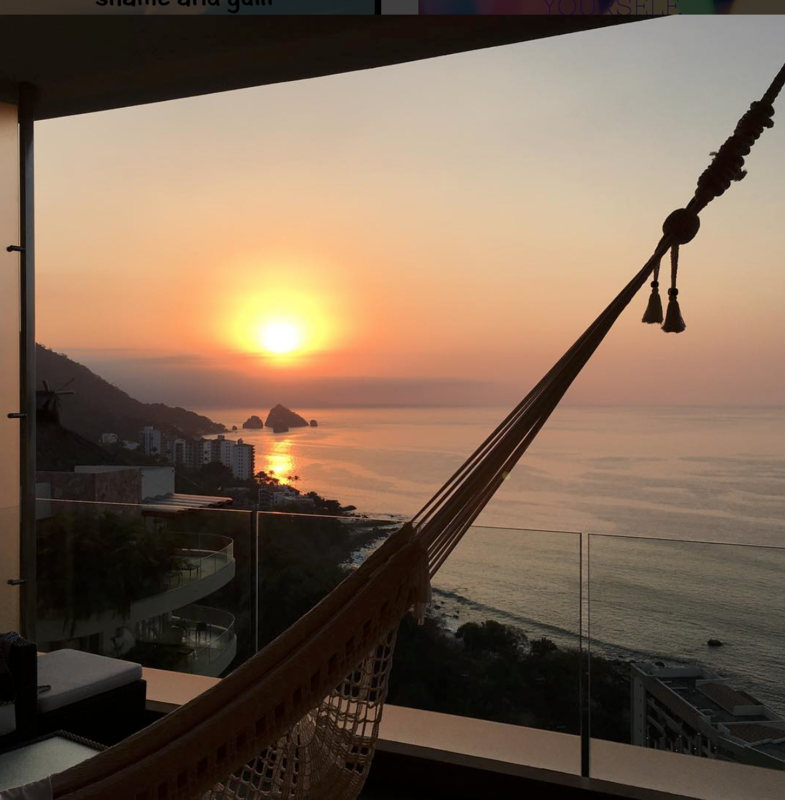 I took this pic from the balcony of my hotel room in Puerto Vallarta, Mexico 🇲🇽 I laid for hours in that hammock just appreciating the stillness and scenery. One of the many gifts of investing the time and energy in healing yourself and finding your magical self-worth, is your biggest and deepest dreams and desires become a regular reality. If you wonder why things don’t seem to work out for you, and you don’t get that job you wanted or struggle to find a great guy/girl, it’s because deep down you don’t feel truly worthy of having it. As part of being your guide and mentor on the journey to creating your Most Exceptional life, it’s my duty to share the payoff of doing this inner work and exploration. In this pic 👆I’m chillin’ on the Greek 🇬🇷 Island of Santorini in the private hot tub outside my hotel room. 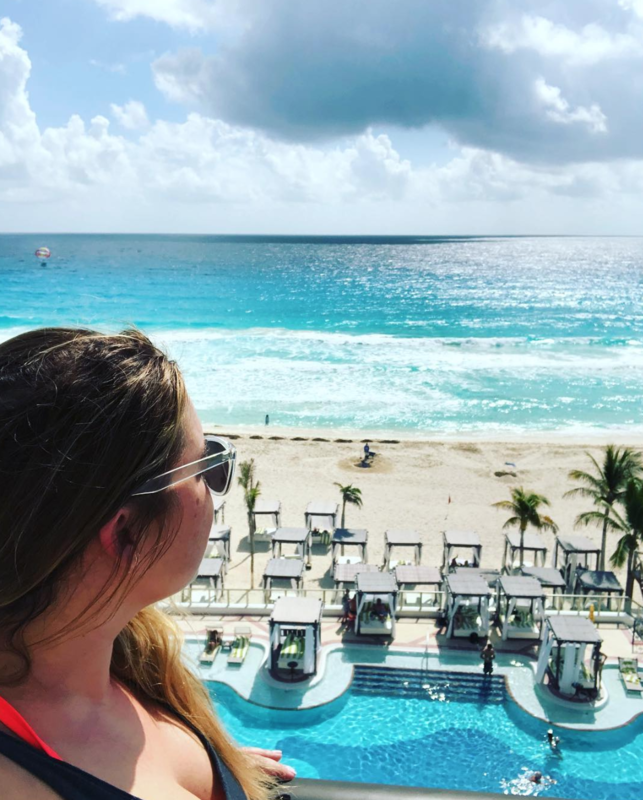 You see travel is my other big passion next to being of service, and helping others help themselves to a place of high self-worth and self-love. 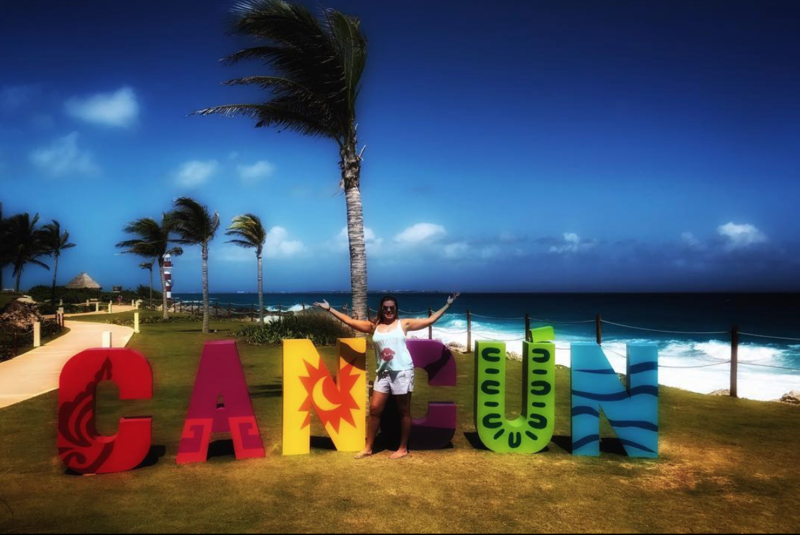 If I didn’t believe I was worthy of a 15k, 5-star, first class trip, than I would never have be able to fulfill my dream of going to this magical island. I’m here to also give you hope and help you visualize that there is another way to live and operate. Share your biggest desire/dream below, so we can plant that seed to manifest it into reality with ease and joy.